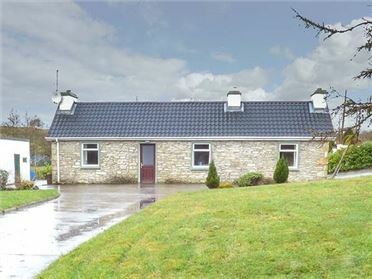 Camona Cottage is a modern detached property, close to the village of Curraghboy in County Roscommon, seven miles from Athlone town. 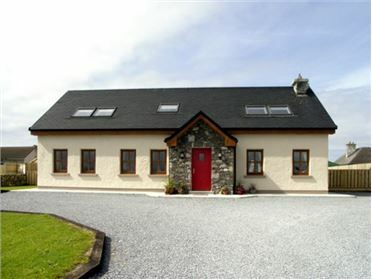 The cottage has a ground floor king-size double and there is also a double and family room with one double and one single, on the first floor. The cottage has two cosy sitting rooms, both with woodburners. There is a modern, well-equipped kitchen complete with dining area. Outside, there is off road parking for three cars, and a lawned garden to the front of the property. 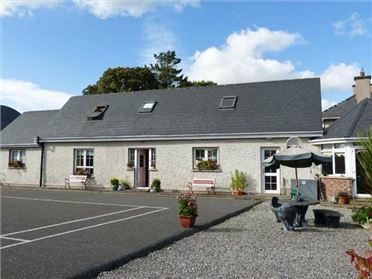 With the amenities of Athlone town easily reached, and the beautiful scenery of RoscommonÃ¢€â„¢s Ã¢€ËœLakelandÃ¢€â„¢ waiting to be explored, Camona Cottage makes a wonderful base for a family or friends break. Three bedrooms. 1 x ground floor king-size double, 1 x double, 1 x family room with 1 double and 1 single. Bathroom with bath, separate shower, basin and WC. Ground floor shower room with shower, basin and WC. Kitchen with dining area. Two sitting rooms with woodburning stove. Oil central heating with woodburning stoves. 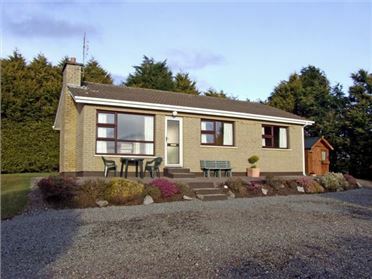 Electric oven and hob, microwave, fridge/freezer, washer/dryer, dishwasher, TV with Saorview, selection of books and games. Fuel, power and starter pack for stoves inc. in rent. Bed linen and towels inc. in rent. Off road parking for 3 cars. Front lawned garden with gravelled area to side and rear. One well-behaved dog welcome. Sorry, no smoking. Shop and pub 1.5 miles. Note: A small step leads from the entrance porch to sitting room.